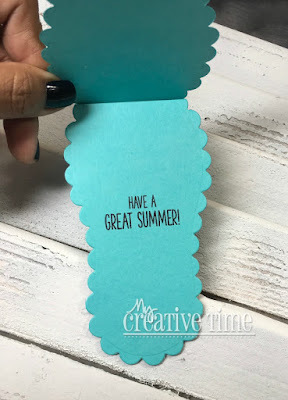 Since it's officially summer where I live, it's been almost 100 degrees already......I wanted to create a shaped card using my Big Flip Flop Die! I tried to go with with summer/beach colors then through a soft pink in there for the flower! GOOD MORNING Miss Emma.....OMG What a Super Sweet and Beautiful Card. Love the colors and the Darling flower...Oh It look Spring all right...love how you did the thong too!! You really did create a Gorgeous Flip Flop which makes for a Spectacular & Funtabulous Card!! This Flip Flop Die is a Fav of mine!! 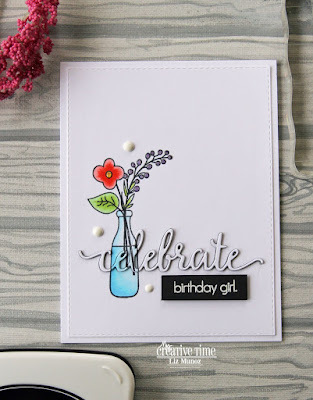 Thanks for sharing your Tremendously Terrific Tips, Tricks & Techniques as you spread your Craftabulous Inspirations using your Fab goodies!! Wishing you a day that is full of Craftabulosity!! YOU so ROCK!! 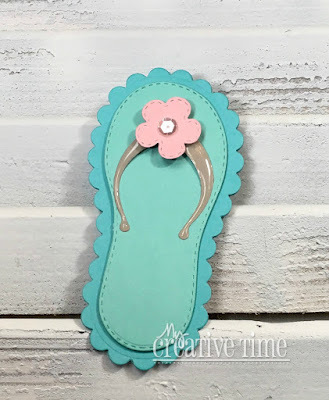 Cute flip flop card!! Love the colors! Absolutely adorable!!! Live the colors! Of course the scallop detail is so beautiful and my favorite thing about that die set! I so needed to see this today with all the not so nice weather we’ve had here in FL recently I need something to remind me of summer, sunshine, and the beach. Lol! 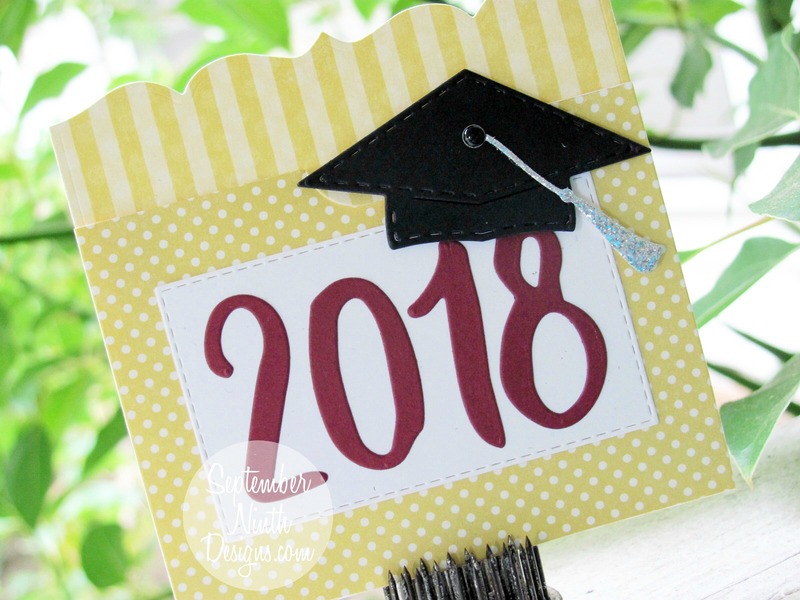 Your flip flop card is darling! Love the colors and how fun it is! 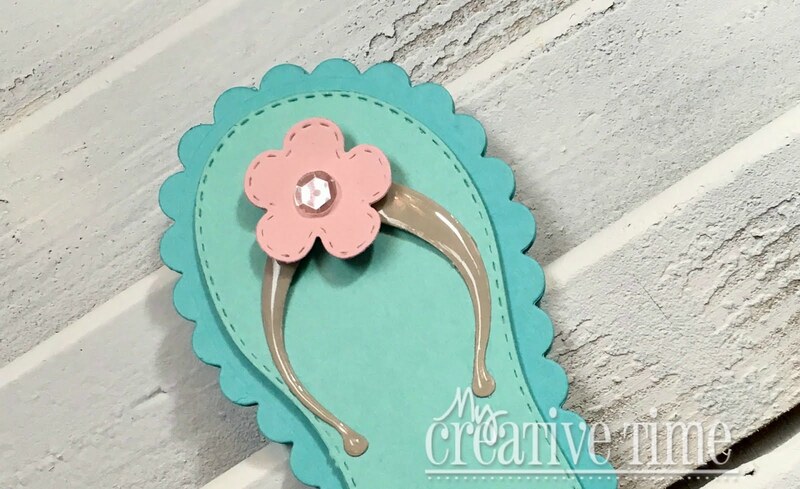 OMG Emma, that flip flop card is so cute, love it.